True story. I've been working from home for about a year now. I recently went to watch a matinee screening Magic Mike XXL with a friend when I realized, as I was getting dressed, that I hadn't worn shoes in an entire week. I put on my sandals and felt a little odd. Like Agador Spartacus in The Birdcage. Or like this dog. So, faced with the prospect of visiting New York City next week to attend the Romance Writers of America's national conference, I felt justifiably...perplexed as to what to wear and what to pack. 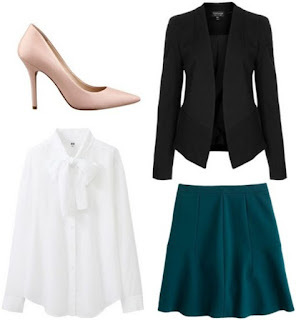 Casual but professional clothes (layer, because while some locations are warm, conference centers can often be chilly). You will be walking and standing a lot, so I also advocate comfortable shoes over pretty ones. My first writers' conference was last year's in San Antonio. I remember seeing a lot of dresses and heeled sandals. Most ladies wore trousers or skirts, floral or solid blouses and flats. I saw tons of cute jewelry. Business casual means a lot of different things to a lot of different people, and we romance writers come from all walks of life. If you think of the dress code at RWA Nationals as more like teachers on parent-teacher night as opposed to bank presidents at a press conference, I think you will be fine. This year, I'm packing these items specifically for my three serious conference days, Thursday, Friday, and Saturday. On these days, I have workshops, meetings, and my pitching sessions. I'd like to look professional but approachable, the kind of person who will write a lot of good books for you and make you a million dollars. At least. Yes, that kind of person. I'm also bringing my Longchamp leather and nylon tote bag. Last year, I made the mistake of bringing my laptop and crossbody messenger bag everywhere I went. Boy, was that was dumb. My shoulder was sore for days. This year, my tote bag will be for paperbacks, one tiny notebook, a pen, my wallet, and my phone. I think I can stuff my sweater or jacket in there if I need to. 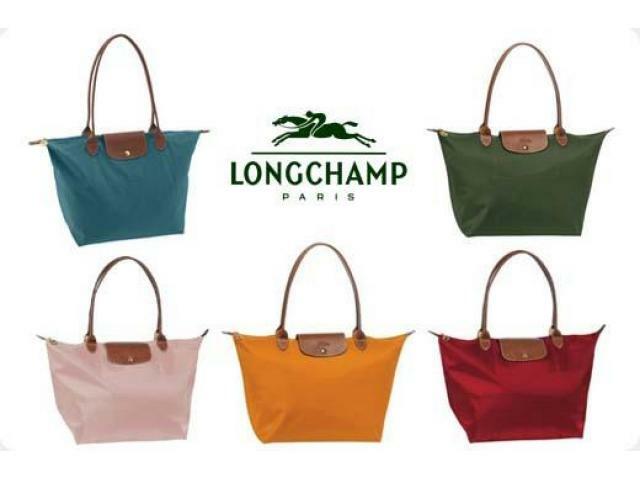 I love my Longchamp tote bag. Image from metrokelan.com. I'm not sure whether I'm bringing a lightweight suit jacket or a cardigan. The weather forecast for NYC next week is high 80's with rain. I assume I'll be spending 90% of my time in air-conditioned rooms, but it still feels odd to wear a blazer when it's 88 degrees outside. The RITA Awards on Saturday night is the big formal event. I didn't attend it last year, but from what I've read, cocktail attire is appropriate. I'm wearing a solid navy blue dress with the most exciting heels I own. For someone who doesn't wear shoes for weeks at a time, this is a Big Deal. If you're looking for more ideas, I recommend searching "capsule wardrobe" on Pinterest. Add the terms "summer," "office," and/or "business trip" and I'm sure you'll find some helpful ideas. 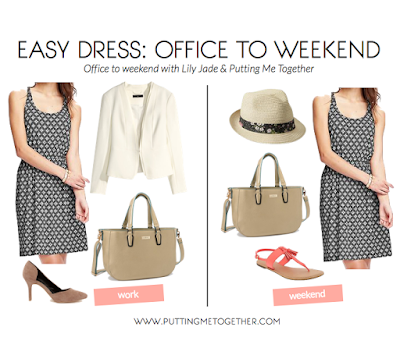 For a fresh take on packing for a conference, read Lessons I Wish I Knew: How to Dress for a Conference. The author is a college student who's set up lovely, functional outfits like this one. Very classy. Another helpful resource that I love is the fashion blog Putting Me Together. Audrey's capsule wardrobes are absolutely genius, and the staple pieces in her outfits come from affordable stores like Target and Old Navy. Personally, I feel a lot better about everything when I know exactly what I'm going to wear. The pitching, the networking, the wheelie-dealies that happen at conference? That's a different story. But at this point, at least I've got my clothes ready. That's half the battle right there. For an overview of the 2015 RWA national conference, please click here. For my tips on how to pitch at RWA Nationals for the first time, please click here.